I know it seems just like common sense but you gotta go to different areas in the world in order to capture certain images. Each state in this country has something unique about it that made it what it is today. When you think about cowboys, open ranges, and old buildings naturally Montana tends to come to mind. You certainly don’t come here for skyscrapers and ocean views. Although we do have some pretty big lakes. For me I tend to look for barns that have some character to them. 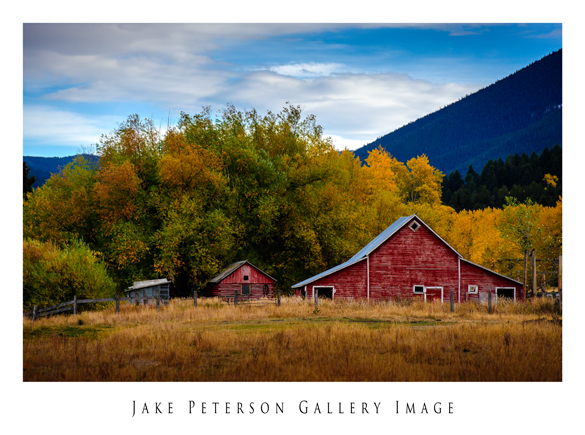 Barns are that iconic Western image and there’s no better time to photograph them then in the Fall. 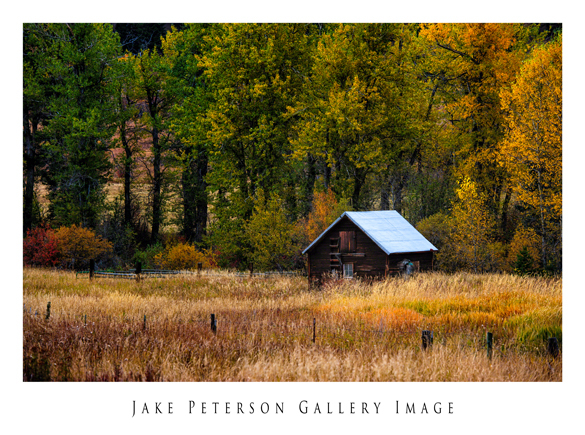 Think about how many shots have been taken of that old barn in Mormon Row with the Tetons as the background. It’s just we do out here. Driving around this past weekend I was looking for those kind of barns. The Fall color only lasts for so long and if you don’t know where to look you best start early. Thankfully I’ve driven around a few times and came back to Cottonwood Canyon where some unique structures still stand and are used. Getting further up the canyon more and more Fall color starting appearing. Hidden towards the back was one lone little building with a house a little ways away. It was nestled between a field of grass and the Cottonwoods that the canyon was aptly named after.